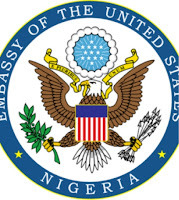 The American government has issued a travel ban on 20 Nigerian states, over security fears in the affected areas. The American government feel that the Nigerian army cannot guarantee the safety of her citizens, hence issued the travel ban. The states affected are; Adamawa, Bauchi, Bayelsa, Borno, Delta, Edo, Gombe, Imo, Jigawa, Kaduna, Kano, Katsina, Kebbi, Kogi, Niger, Plateau, Rivers, Sokoto, Yobe and Zamfara. The American government also stated that only essential travel will be allowed to these areas.